French President Francois Hollande publicly placed responsibility for the Nov. 13 attack on the Islamic State, declaring it an act of war. This French response to the Paris attacks is markedly different from that of the Spanish Government following the March 2004 Madrid train bombings. Instead of pulling back from the global coalition working against jihadism, it appears that the French will renew and perhaps expand their efforts to pursue revenge for the most recent assault. The precise nature of this response will be determined by who is ultimately found to be the author of the Nov. 13 attack. To date, there has been something akin to a division of labor in the anti-jihadist effort, with the French heavily focused on the Sahel region of Africa. The French have also supported coalition efforts in Iraq and Syria, stationing six Dassault Rafale jets in the United Arab Emirates and six Mirage jets in Jordan. On Nov. 4, Paris announced it was sending the nuclear-powered aircraft carrier Charles de Gaulle to enhance ongoing airstrikes against the Islamic State in Syria and Iraq. To date, French aircraft have flown more than 1,285 missions against Islamic State targets in Iraq, and only two sorties in Syria. Update (6:00 p.m. CST): According to French media reports, French security forces have stormed and secured the Bataclan theater. The attackers apparently used grenades inside the main concert hall, Aujourd'hui Paris reported Nov. 13. Details are still emerging. The attacks, which were clearly coordinated, took place in multiple locations and involved different methods. In the first wave, two suicide bombers detonated their explosives at locations near the Stade de France, where a soccer match between France and Germany was taking place. (French President Francois Hollande himself was at the stadium at the time of the attack. He was escorted from the scene and met with French Interior Minister Bernard Cazeneuve in a closed meeting shortly thereafter.) It is unclear whether grenades or other explosives were used, and it is possible a suicide bomber may have been involved. Meanwhile, gunmen also opened fire, reportedly with Kalashnikov rifles, on a tightly packed Cambodian restaurant in a drive-by shooting. Shots were also fired at the Bataclan concert hall, where a hostage situation is now underway. Roughly 25 minutes later, gunmen also opened fire on Rue de Charonne. And about an hour after the initial attacks, attacks by other terrorist cells took place at the Louvre and Les Halles. Special police units, including RAID, a police intervention unit, have been rapidly mobilized and are currently securing the areas around the stadium, the bars and restaurants in the area of the 10th and 11th arrondissement, a part of Paris popular with young people and tourists, and the Bataclan concert hall, where at least some of the gunmen, allegedly armed with explosives, are reportedly located and holding up to 100 hostages. Countering such attacks needs a united response, both at home and internationally. Nearly three weeks ago a senior Indian intelligence official was lamenting about the death of an initiative that could have vastly improved India’s counter-terrorism capabilities. Worried at the lack of cooperation between security agencies, two key intelligence chiefs, the Intelligence Bureau’s Asif Ibrahim and the Research and Analysis Wing’s Alok Joshi got together in the summer of 2014 to put together a bold plan to address inter-agency issues. Their plan was simple in concept, but both appreciated the difficulty it would have in implementing it. But with most good ideas, the resistance to a new idea was so strong that even the two intelligence chiefs couldn’t push it through. Both of them retired and the proposal was buried in the voluminous files of North and South Block. As the Paris attacks unfolded on Friday night, it was clear that terrorism today is a global alliance. Unfortunately, the response to global terrorism is far from being united. As India has shown, even getting two premier security agencies to cooperate is a challenge and political will to force radical change remains abysmally low. Every step that was thought of as a counter measure to India’s fight against terrorism after the attack by Lashkar-e-Toiba terrorists on Mumbai on 26/11 has been put into cold storage by India’s vast bureaucracy. A new kind of war demands new tactics and a new response. The American military and intelligence juggernaut discovered this maxim the hard way after 9/11 when airliners hijacked by the Al Qaeda crashed into the World Trade Towers, killing thousands. Surprised by the 9/11 attack, the Americans went into a huddle to discover to their horror that all their doctrines were meant to fight a conventional war, against a state that could hold territory. The Al Qaeda was neither a state, nor did it value holding territory. They were non-state actors, who preyed on ideology and used asymmetric warfare as its preferred tool of destruction. The attack on Paris on Friday night by the Islamic State (ISIS) is the manifestation of a new war, whose doctrines were written in the AF-Pak region. The people who worked on the doctrine were bred in madrassas in Pakistan, emerging from decades of radicalisation and actively supported by the Pakistani military-industrial complex to hit India in its asymmetric, undeclared war. The IS, believed to have emerged out of the Syrian civil war, built its reputation on carefully developed strategy of armed assault tactics and targeted assassinations. A detailed study of their al-naba, its “annual reports” by the U.S based think tank, Understanding War, gave the world the first deep insights into its evolution into a dreaded terrorist outfit. The analysis noted that the IS specialised in “attacks utilizing small and medium arms” and “suicide operations” that was deployed near Baghdad in Iraq. The analysis concluded that the ISIS had “a strong unified, coherent leadership structure that commands from the top down”. 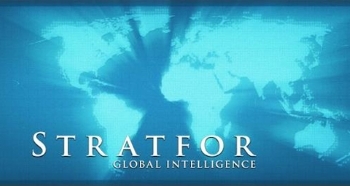 Summary: Here is Stratfor’s same day analysis of the terror attack on Paris, and speculation about its implications and what comes next. Update (6:00 CST): According to French media reports, French security forces have stormed and secured the Bataclan theater. The attackers apparently used grenades inside the main concert hall, Aujourd’hui Paris reported Nov. 13. Details are still emerging. 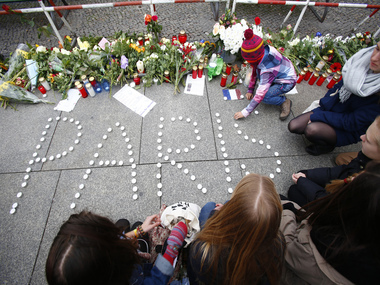 As many as 60 people died Nov. 13 in multiple terrorist attacks throughout Paris. At least five gunmen – likely jihadists judging from witness’s accounts – conducted the attacks. Meanwhile, gunmen also opened fire, reportedly with Kalashnikov rifles, on a tightly packed Cambodian restaurant in a drive-by shooting. Shots were also fired at the Bataclan concert hall, where a hostage situation in now underway. Landlocked Nepal in the heart of Asia has two powerful neighbors – India and China. The country is also divided in two by geography – the mountainous region (apart from Mt. Everest, Nepal houses eight of the world’s 10 highest peaks) in the north and the fertile and humid plains (the Terai) in the south. This makes for a volatile mix. Ever since a new constitution was unveiled on September 20, the Terai has been in turmoil. The people of the region – the Madhesis – are up in arms against what they perceive as discrimination. They have imposed an economic blockade, which means they allow no traffic on the trade routes with India. Trucks have lined up on both sides of the border and shortages – particularly of food and fuel – are beginning to be felt in the hilly region. The Madhesis have been hit hardest by the strife. But almost every family is interconnected with neighboring Bihar in India through centuries of intermarriage and migration. “The fact that they have been able to sustain the agitation … speaks volumes about their accumulated resentment,” says Rakesh Sood, former Indian ambassador to Nepal. 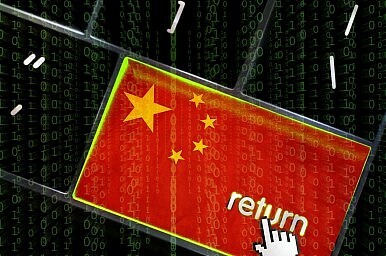 China is hosting a group of U.S. officials in Beijing for talks on cybersecurity, a prelude to next month’s kick-off of the new cyber dialogue announced during Xi Jinping’s visit to the United States in September. The U.S. delegation, led by Deputy Secretary of Homeland Security Alejandro Mayorkas, included representatives from the U.S. Departments of Homeland Security, State, and Justice, as well as representatives from the National Security Council, and Federal Bureau of Investigation. They met with their Chinese counterparts, including Public Security Minister Guo Shengkun and Vice Minister of Public Security Chen Zhimin. After enjoying rapid development for nearly 40 years, China is at a turning point in terms of both economic growth and social development. In this series, Dr. Xue Li examines the five most critical challenges and potential pitfalls China faces today. See his previous pieces on Pitfall #1, Pitfall #2, and Pitfall #3 as well. 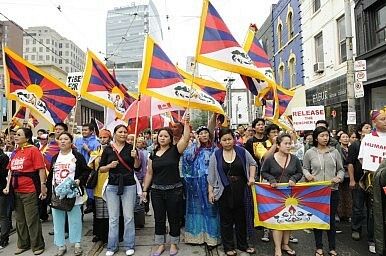 When it comes to “Tibet independence,” we perhaps should seize the moment and start negotiations with the Dalai Lama. This would be to China’s advantage since the Dalai Lama and the Chinese government have a long history of interaction spanning decades. They understand each other fairly well. The Dalai Lama’s views are more moderate compared with the younger generation. For example, the Dalai Lama has not openly supported independence. But he is already 80 years old so time is running out. The report comes at a time of heightened tensions between the United States and China after the U.S. Navy carried out a freedom of navigation patrol near a Chinese man-made island. The B-52s were reportedly “in the area” of the Spratly Islands and there are conflicting reports regarding whether their passage took them within 12 nautical miles of Chinese outposts in the Spratlys. Statements from Commander Bill Urban, a spokesman for the U.S. Department of Defense, suggest that the mission was a routine transit flight. 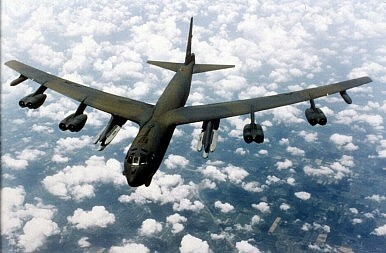 ”The B-52s were on a routine mission in the [South China Sea],” he said. ”We conduct B-52 flights in international air space in that part of the world all the time,” Peter Cook, another Pentagon spokesman, told Reuters. A top Indonesian official recently said his country was seeking clarification on the extent of Chinese claims to the South China Sea – and could take China to international court if that clarity isn’t forthcoming. Luhut Pandjaitan, the chief of staff to Indonesian President Joko Widodo as well as Jakarta’s coordinating minister for political, legal, and security affairs, made the comments on Wednesday. According to Reuters, Panjaitan called China’s “nine-dash line,” which claims most of the South China Sea for Beijing, “a problem we are facing,” saying that “we don’t want to see any power projection in this area.” It’s not only a problem for Indonesia, either – the nine-dash line “also directly (impacts) the interests of Malaysia, Brunei, Vietnam, and the Philippines,” Panjaitan added. On Wednesday, Chinese Overseas Ports Holding Company Ltd (COPHCL), a Chinese state-owned enterprise, officially took control of the strategically important port at Gwadar in Pakistan. The Chinese firm officially signed a 40-year lease for over 2,000 acres of land in Gwadar, marking a milestone in the implementation phase of the China-Pakistan Economic Corridor (CPEC), a major bilateral initiative to build transportation and other infrastructure along the length of Pakistan, connecting the country’s Arabian Sea coast with the Himalayan border with China. CPEC was unveiled during Chinese President Xi Jinping’s April 2015 state visit to Pakistan, where Gwadar was high on the agenda. Pakistan’s Federal Minister for Planning, Development and Reform Ahsan Iqbal handed over the lease to Wang Xiaodao, the vice chairman of China’s National Development and Reform Commission. 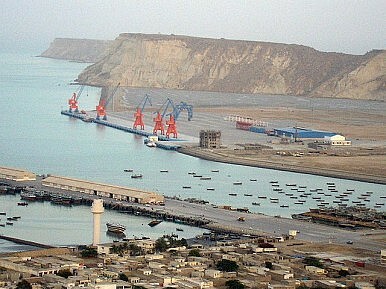 Gwadar is a designated free-trade zone by the Pakistani government. The designation will last for 23 years. Additionally, because of Gwadar’s location in the restive southern Pakistani province of Balochistan, the Pakistani government has created a protection force for Chinese workers who will be working on CPEC projects, including at Gwadar. 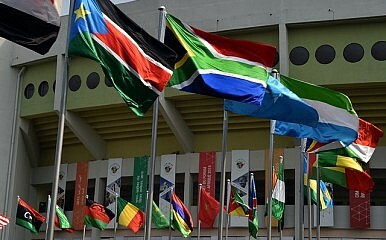 In October 2015, New Delhi hosted the India-Africa Forum Summit, which for the first time brought together all 54 African countries. At the summit, Indian President Narendra Modi showed India’s interest in strengthening relations with African countries, discussing economic as well as political and diplomatic ties. India wants to join the UN Security Council and is counting on the African delegates’ votes to achieve that. But India is also interested in spurring its economic development, by investing abroad, accessing overseas markets, and securing energy resources, and it very much has its eye on Africa. Compared to other major world economies, India is an emerging economy, but it is making inroads into Africa. Indian investment flow in Africa is significant, at $50 billion in 2014, although the vast majority of that goes to the tax haven Mauritius. Still, Indian companies are active in a number of sectors in African economies, among them automobiles, services (mainly telecommunications and finance), pharmaceuticals, construction and resources. WASHINGTON (AP) — A U.S. drone strike targeted a vehicle in Syria believed to be transporting the masked Islamic State militant known as “Jihadi John” on Thursday, according to American officials. Whether the strike killed the British man who appears in several videos depicting the beheadings of Western hostages was not known, officials said. CAIRO Nov 12 (Reuters) - Islamic State has released a video threatening attacks in Russia “very soon” in revenge for Russian bombing in Syria, the SITE monitoring group said on Thursday, and the Kremlin said Russian state security services would study the material. Al-Hayat Media Center, the militant group’s foreign language media division, released a video in Russian with chants of “Soon, very soon, the blood will spill like an ocean”, SITE reported. Islamic State has previously called for attacks on Russia and the United States in revenge for strikes by their warplanes on its fighters in Syria. Western intelligence officials suspect the ultra-hardline Sunni group of planting a bomb in a Russian passenger plane which crashed in Egypt’s Sinai Peninsula on Oct. 31, killing all 224 passengers and crew. The myth that America’s narrative is losing to ISIS’s persists despite the fact that millions of people are fleeing ISIS territories, while mere thousands have traveled to join the group. It persists despite the fact that the Islamic State’s ideological sympathizers make up less than 1 percent of the world’s population, even using the most hysterically alarmist estimates, and the fact that active, voluntary participants in its caliphate project certainly make up less than a tenth of a percent. With little notice and no fanfare, although the New York Times mentioned it the other day, the Gulf Arab states have withdrawn from significant participation in the war in Syria. This move involves in particular the air forces of Saudi Arabia and the United Arab Emirates. These are some of the same Arab governments that screamed long and loud about the need to do more in Syria. They are so exercised over the conflict in Syria that they are willing to fight there to the last American. The Saudis and their colleagues are shifting most of their own air power to their armed intervention in Yemen. That intervention does nothing to advance U.S. interests, even though Washington managed to get itself maneuvered into supporting that expedition, too, through means short of direct U.S. military involvement. The Saudi-led air assault on Yemen has greatly exacerbated a humanitarian tragedy there. The side on which the Saudi have intervened—a side that includes Al Qaeda in the Arabian Peninsula (AQAP)—is not one that the United States has any good reason to be identified with. Even if the United States had a good reason to take sides in the Saudis' contest with Iran for regional influence, which it doesn't, the Yemeni war would be a poor place to do so; the Houthi rebels, who are the staunchest Yemeni foes of AQAP, are not proxies of Iran and do not do Tehran's bidding. The ISIS threat looms large in the American psyche. Recent polling shows that strong percentages of Americans support sending ground troops to fight ISIS in Iraq and Syria. Reflecting Americans’ deep concerns about the group, ISIS received even greater mention at the first two Republican presidential debates than the American economy. That’s not necessarily to say that the average American thinks fearfully about ISIS on a daily basis. But it means that a substantial number of Americans are primed to do something about the group. Given their predisposition, a high-profile attack by ISIS-inspired terrorists could trigger unignorable pressure on our leaders to attack ISIS more aggressively. But an overly aggressive reaction to ISIS would do little to address the real problem. Unfortunately, the threat posed by ISIS is the new normal and it will persist for the foreseeable future, even if the United States could crush the group. Any plan to fight ISIS must therefore fit within a broader strategy to counter Islamic extremism over the long haul. This strategy should emphasize avoiding high-profile military operations, cultivating likeminded international partners, and—critically—building Americans’ resilience to terrorist attacks. The Japan Ground Self-Defense Force (JGSDF) has successfully test-fired the Chu-SAM Kai surface-to-air missile, destroying 100 percent of its targets at the White Sands Missile Range in southern New Mexico, the United States Army website reports. Over the summer of 2015, the JGSDF conducted ten flight tests intercepting various targets, including a GQM-163A Coyote target system used to simulate supersonic cruise missiles. 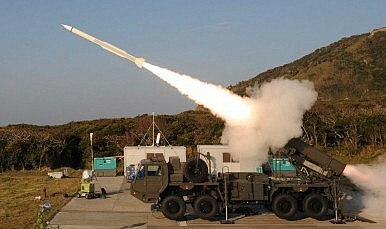 The Chu-SAM Kai is an advanced version of the Chu-SAM medium range surface-to-air missile system domestically developed and produced in Japan. It is a multi-segment propellant missile launched from a road-mobile vertical launch container and has been undergoing evaluation and testing since 2014. 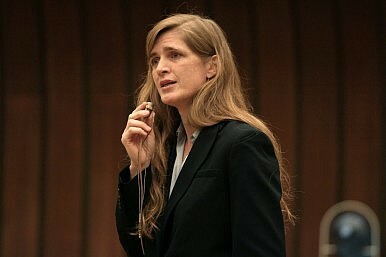 Samantha Power, U.S. permanent representative to the United Nations, recently spoke at the Open Government Partnership Global Summit in Mexico City. As she mentions at the outset, this is an initiative that deals with “the ideas of getting governments to work with civil society to create more open, accountable institutions and societies.” Officially created in 2011, the Open Government Partnership is something that merits support. Surprisingly, Power devotes a noticeable part of her remarks to Sri Lanka, a small island nation in the Indian Ocean that’s still recovering from a twenty-six year civil war that some suggest left 80,000 to 100,000 dead. Kazakhstan, without a doubt, has capitalized on its natural resource wealth, using massive oil and gas deposits to pull the country from post-Soviet poverty into the ranks of emerging economies. Its GDP, at 231.9 billion, dwarfs its fellow Central Asian neighbors. By other economic measures Kazakhstan has also excelled: GDP per capita was upwards of $13,000 (US) in 2013 and GDP growth was over 6 percent until 2014. But the good days of easy growth are ending for Kazakhstan. GDP per capita has contracted slightly, to just over $12,000 in 2014, according to the World Bank, and growth has slowed dramatically since 2013. 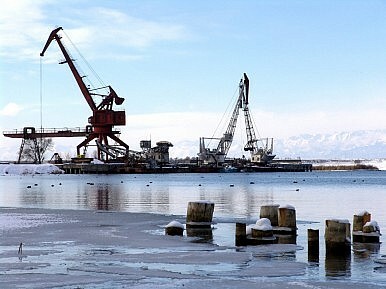 The World Bank projected in May that the country’s growth would fall to a low of 1.3 percent this year. Other estimates are barely more optimistic. The Asian Development Bank, for example, expected 1.9 percent growth in its spring outlook, but revised that figure to 1.5 percent in September. There are countless indicators of the trouble:inflation and exchange rates, scapegoating the central bank head who set the tenge to float freely from its erstwhile peg, and the ending of bread subsidies. With the second round of Syrian peace talks in recent weeks about to take place in Vienna, the United States and other participants need to raise their sights from a narrow focus on the specific modalities of a negotiation between the antagonists to incorporate a broader strategy for confronting the underlying dynamics of this entangled conflict. Unless these underlying dynamics become central to a strategy, it is unlikely that a diplomatic track will bring the Syrian civil war to a halt. Confronting these dynamics should be the focus of U.S. and Western policy, and the basis for exploring whether the Russians and Iranians can be levered into playing parallel, constructive roles. America's Zumwalt-Class Destroyer: Too Few, Too Advanced and Too Late? The U.S. Navy’s first DDG-1000 destroyer Zumwalt (Note; It’s not USS until the ship is commissioned) is set to undergo an initial set of sea trials in December. The ship is one of three DDG-1000-class vessels the service is buying—which effectively means that the ships are glorified technology demonstrators for the various high-tech innovations found onboard. Speaking at the Reagan Defense Forum in Simi Valley last Saturday, Secretary of Defense Ashton Carter said the United States must do more in the fight against the Islamic State (ISIL) in Syria. The fundamental strategy for inflicting “a lasting defeat to ISIL,” he said, “is to identify then train, equip, and enable local forces that can keep the peace.” Those trained local forces, he added the next day, were the key to victory as was demonstrated in Iraq and Afghanistan. But did training local forces in Iraq and Afghanistan prove to be the key to victory, and can it do the same in Syria against ISIL? Short answer: no and no. To assess the chances of any military operation to be successful, a sober and honest evaluation must be made of three things: the type and capability of friendly troops; the quality of the opposition; and the environment in which the battle must be waged. The political leaders who make the go/no-go decision on the use of force must ascertain the likelihood their troops can attain the political objective sought, and whether the cost to attain that objective is worth what might be won. 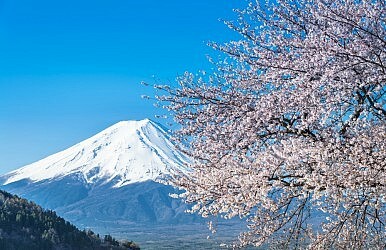 Japan loves lists, whether they are domestic, such as the country’s three famous views (Nihon Sankei), or its 100 famous mountains (Nihon Hyakumeizan); or international, such as Japan’s strong showing on the Michelin-starred restaurants list. However, no list is as admired as much as UNESCO’s list of World Heritage Sites. Japan has successfully nominated 15 UNESCOcultural sites and four natural sites since UNESCO began inscribing places, buildings, and objects in 1978. Japanese have celebrated the inscription of Japanese and international cultural and natural properties with popular TV programs (NHK Sekaiisan and TBS’ The Sekaiisan), and by showing up in droves to newly listed sites in Japan and abroad. Historically, Japan has also been a major financial supporter of UNESCO, providing the second largest amount of funding after the United States. Additive manufacturing, also known as 3D printing, has the potential to revolutionize the U.S. military’s logistics system. But numerous hurdles stand in the way of that dream becoming reality, experts said. Unlike the traditional manufacturing process, which creates items by taking raw materials and subtracting from them by drilling or whittling, additive manufacturing takes digital data and creates 3D objects by stacking printed layers of raw materials. Under the traditional supply system, “you create the parts at a manufacturing base and then you send it to a depot, and then it gets put on a component or it gets sent out into the field,” she said during a panel discussion at the Brookings Institution, a Washington, D.C. think tank. In a recent report on American public opinion and U.S. foreign policy, “Defending our allies’ security” ranked near the bottom of a list of foreign policy priorities. Judging from their rhetoric and military spending plans, protecting our allies is the top concern for many of the men and women aspiring for higher office. Our military is postured to defend our allies’ security at least as much as it is to defend our own. U.S. foreign policy today hinges on a forward-deployed military poised to stop prospective threats before they materialize. It reassures our allies, thus discouraging them from taking steps to defend themselves and their interests. That kind of military is costly. In inflation-adjusted terms, we spend more on average than during the Cold War. And yet most candidates for higher office believe that we must spend more. A few would spend muchmore. Marco Rubio, for example, plans to increase Pentagon spending by $1 trillion. There is a widely held assumption that Facebook, Twitter and other similar platforms are crucial to undermining dictatorships around the world. But social media may actually help entrench existing regimes in ways that we are only recently coming to understand. Most governments are resistant to change when compared to protest movements, which are nimble, experimental and led by younger voices. But governments do catch up—and often pull ahead of early adopters. One only needs to think of how the printing press was thought to be a threat before governments realized the potential for controlling mass communication. Singapore has added a submarine for the first time to the most recent iteration of a biennial naval exercise it holds with Thailand, the city-state’s defense ministry announced November 10. 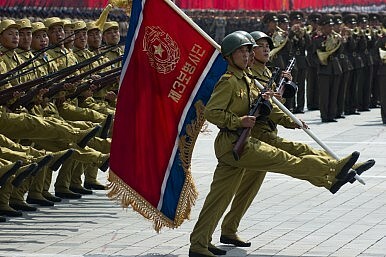 Exercise ‘Singsiam,’ which the two countries have held since 1981, ran this year from November 2 to 12. 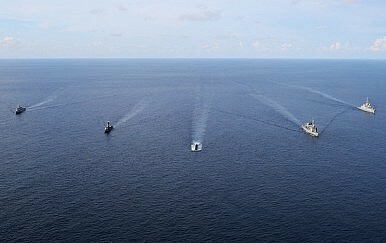 Following the opening ceremony and a shore planning phase at Changi Naval Base in Singapore, the two navies conducted a sea phase in the Strait of Malacca and the Andaman Sea. In terms of participating assets, there were two notable firsts, according to a press release by Singapore’s defense ministry. First, Singapore deployed the RSS Archer, Singapore’s Archer-class diesel-electric submarine, for the first time in the history of Exercise Singsiam, along with the Formidable-class frigate RSS Intrepid and the Victory-class missile corvette RSS Vigour. Try to read the mysterious inner workings of North Korea’s leadership with much confidence, and you do so at your peril. That’s one lesson from the revelation that several apparently purged North Korean officials were included on a committee tasked with organizing the funeral of one of the military’s most senior leaders. Han Kwang-sang and Kim Kyong-ok were among the most prominent of several supposedly purged officials named on the list of committee members, which was released by North Korean state media ahead of the funeral of Marshal Ri Ul-sol on Wednesday. The committee list was widely seen as a rundown of the country’s top brass, and the inclusion of Han and Kim indicates that they remain alive and in favor with the regime. The South China Sea remains the most contested region in the world. If recent signals from the Obama administration are credible, it’s about to become more contested as the U.S. challenges China’s island-building campaign in the international waters of the South China Sea. 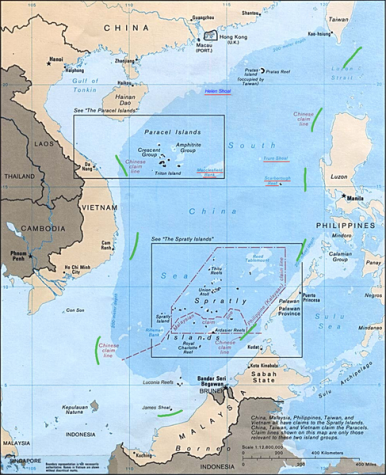 Many nations dispute claims over groups of islands, reefs, atolls, seabed mineral rights, and large swaths of the South China Sea that are important for economic, navigational, and security reasons. The disputes continue to increase tension in the region. Vietnam has purchased Kilo submarines; Malaysia is upgrading its coastal navy; the Philippines are weaponizing their AW109helicopters; and Japan continues its naval buildup. In the meantime, China continues to grow its stockpile of missiles across the Taiwan Strait and refuses to disavow force as a means of settling its dispute with Taiwan. Faced with the possibility of a future blockade or amphibious attack, and unaided by its friends in a decades-long effort to build a defensive submarine force Taiwan has chosen to upgrade its naval capabilities by building its own submarines. Security challenges in East Asia are becoming increasingly serious. North Korea is developing a missile-deliverable nuclear weapon, and the long-term stability of the Pyongyang regime is questionable. Taiwan, which Beijing claims as part of Chinese territory, is about to have a presidential election in which a candidate from a pro-independence party is the front-runner. China has also become increasingly assertive in its territorial disputes with Japan and several Southeast Asian countries. The United States has long taken responsibility for ensuring the security of East Asia, providing the military muscle for everything from deterring North Korean aggression to providing humanitarian aid in the wake of natural disasters. The challenges in East Asia, however, are now such that the region can longer rely on the United States to take the lead in responding to every event. Other countries need to play a greater role in contributing to the security and stability of the region. No country is more important in this regard than Japan. With the world’s third-largest economy, one of the region’s most capable militaries, and as a democracy whose international behavior has been completely peaceful for over 70 years, Japan has a unique potential to be a force for peace, security, and human rights in the region.